When July's episode arrived in my pod-tray, I felt that as I was going to be listening a summary was the best thing to do. (That’s the thing with being a completist, you end up listening to and watching everything.) So this is what I gleaned as some of the more interesting / relevant things mentioned in the July edition for those who don’t / won’t listen. What was discussed broadly falls into 3 areas: current innovation, external impact of developments, and the direction of the development of the sport in the future. 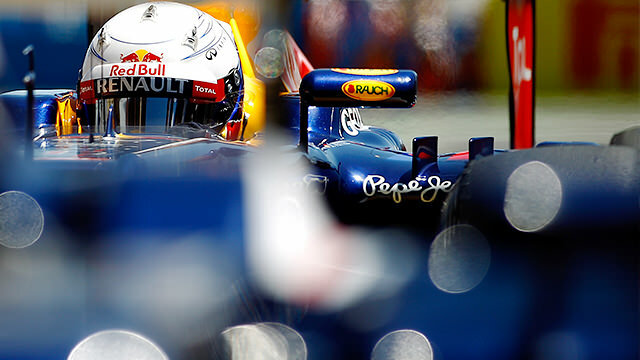 Once a car has been designed and manufactured during the off season, a large area of possible development for the team is fixed, leaving the aerodynamics of the car to be the prime area for performance gain during the season. It is suggested by Allison that coming up with new ideas to incorporate is not a particular challenge, rather that it is the organisation that is the hard task – so the ideas can be ranked, tested, designed and then brought onto the car, having filtered out the unpromising ones. So if the rule leaves open that avenue of attack, the governing body… agree that if doesn’t seem to fall foul of the rules, fill your boots. However it’s rarely that straightforward. He also admits that a team’s first thought when coming across an innovation on another car isn’t for whether/how they can copy it, it’s how can they interpret the rules so that it is illegal. Having a part declared illegal means that no time or money has to be spent trying to catch up, instead they can be working on their own parts – trying to step ahead themselves. As I’ve made reference to, there is no major must-have gadget this season. In 2009 it was the double diffuser – which the Brawn team pioneered and was one of the reasons that they were able to win 6 out of the first 7 races, before the other teams were able to perfect their own. In 2010 we had the f-duct, allowing the rear wing to be stalled, and therefore reduce drag, purely by the redirection of a channel of air. Frank Derney refers to the f-duct as being a clever innovation and interpretation of the vastly restricted rules. In 2011 the blown diffuser was very important to performance, not to mention being very controversial in the stewards’ office. It is Gascoyne's impression that blown diffusers are the most significant advance that there’s been over the last few years, because they had almost been seen before. It is noteworthy that F1 is a tenths-of-a-second game, and these could make a difference of 2 seconds, so I might tend to agree. I’d liken it to the BOA giving Dwayne Chambers totally-legal rocket-powered super-shoes that enable him to run the 100m the thick end of 8 seconds – so long as it’s not breaking the rules, it’s a huge advantage. So in 2012, what could it be? The Mercedes’ DDRS – but no other team has adopted it yet – probably owing to the difficulty of retro-fitting the system into a current car. An anti-dive braking system could well have been the fashion, as a variety of teams have mentioned that they had similar or equivalent solutions in development, however the FIA banned the Lotus system before the season even began. I think that it is more than likely there are a handful of other gadgets on the grid that have not been picked up on yet. In addition to the scope of the rules, cost is an important factor to how much a team can push the development. Derney recalls that in the 1970s and 1980s, if there was as much money in the sport as there is today, cars would have had huge engines, six wheels, utilise ground-effects etc. He feels that it is a shame that this has changed, and that the rules restrict development so much. It is his belief that the cost controls itself, and so it will all be spent on developing, regardless of the scope that is allowed. “If your wife has £100 to buy shoes, she spends £102 … If you’re only allowed to lighten the wheel nut; you will spend $100m on making the lightest possible wheel nut”. It is F1’s version of Parkinson’s Principle of economics, which states that a job will expand to fill the time available for completion – teams are going to spend all the money that they are allowed to spend, after all they want to win. Gascoyne believes that budget caps are necessary in order for the sport to remain the best but also to remain sustainable. It would be a shame for F1 to become a one-make sport, he tells us that 24 Caterhams painted different colours would give us great racing, but that’s not this sport. He wants teams to be allowed to innovate, but equally you can’t be spending hundreds of millions every year, so it does need controlling. However, teams shouldn’t be prescribed to as to the way in which they should spend it, be it the drivers, or the cars, or whatever. This all comes on the back of the teams trying to agree on the RRA – otherwise certain outfits may blow many millions on trying to buy next year’s title. Formula 1 has been a place in which a lot of consumer-car-technology is developed, and furthered, and Zack Brown believes that innovation like this is important to the F1 brand and motorsport in general. He recalls technologies that have been proven in F1 before being launched into the car-market: rear view mirror, seatbelts, paddle-shift gearboxes, enhanced safety features of cars and tracks, communications technology and data analysis techniques, developments by fuel providers, and looking forward, KERS and hybrid technology are the next big-things. Even though these exist in the market already, I believe that through being improved by the teams, and also the positive public perception that can be created will increase the rate of take-up on the green technologies. With a large majority of the current teams having their headquarters in a small area in the middle of the English countryside it is clear that the UK leads the way in F1 technology. David Green expresses this view and believes that it is important to roll this technology out into the car-market, and agrees that environmentally-friendly is the direction that they should be heading – as we need to reduce the need for gas/oil, not just for the environment but also for financial reasons. Derney feels differently on this issue. He believes technologies that are developed in F1 don’t necessarily need to be done with the market in mind, but when they are found to be transferable, then can be used for the benefits of the consumer. I am going to sit on the fence with this one – it is important to have a direction in which the sport is moving, but I also like to see things make the jump. The f-duct has made it to, amongst other places, Le Mans cars, and DRS have made it to the Nissan DeltaWing as well as new models of Ferrari road car. King notes that with the move of F1 (and the car-market also) towards electric cars that make no sound, we’ll more than likely see manufactured noise to keep the spectacle of the sport (and or the safety of the roads). 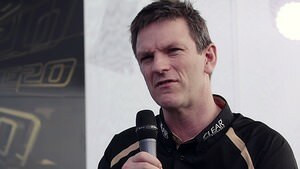 However, “in the end we will discover that noise is not a big part of what we are watching, it’s the skill of the racing drivers, it’s the technology that is being delivered that creates the excitement, I don’t actually go with Bernie on this one.” I find the engine noise useful to tell me how the drivers are performing compared to each other, and whether a car is running well or not, but not having been to a Grand Prix (I’m as shocked as you), then I can’t make the case either way. The progression of the sport was the final area of development that I took away from this podcast. It is clear to me that the improvement of IT technologies is the main area that the sport is currently embracing. 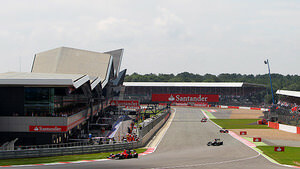 Eddie Baker said that Formula One Management are currently looking to connect all racetracks with fixed line connections that will be always on and have a huge capacity for information – allowing (all) data to be transferred back to factories, reducing requirement for personnel to be at races solely for data-analysis purposes. It will also enable the TV networks to be given a better and wider quality of broadcast options. Vinod Kumar is looking to this development permitting race data to be transferred back to Biggin Hill in the first instance, with the view to widening the scope in the future. Through the redevelopment process at Silverstone, the key feature of any new aspects of the track and paddock was to “create density” – allowing the energy of the event of be brought together. This was done through the placement of the new parts of the circuit and paddock but also through the implementation of IT across venue. It is felt that although F1 has been ahead of other sports in the past, the size of the venues, compared to stadia, has slowed this in recent years, but the balance is being addressed. John Rhodes describes how he tried to give Silverstone a variety or “menu of corners”, changes in direction and topography (elevation), as these all required to add character and challenge to a circuit. He has been working on developing the track in Velocidad, Argentina, and they have also been developing a virtual grand-prix, and working with Jenson and Lewis by imposing a circuit on a major world city – also known as LondonGP. When talking about the direction of the sport, it is worth mentioning that according to Zack Brown, the flotation is likely to happen later in the year, and they will be just trying to time it correctly for the market. CVC’s liquidation of equity earlier in the year will have relieved some of the time pressure and they’ll be well prepared for when it comes. There was a lot of food for thought in a podcast that was only thirty minutes long, and the guests shared some great insights from their own unique perspectives. I've tried to summarise what you may have missed if you didn't listen to the show. If you want to tune in to the next one, do head on over to James's website and see what's lined up for the next show!